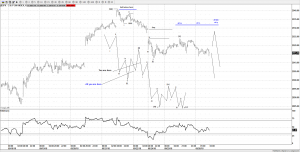 Going into the FOMC, there is a potential bearish setup as long as it remains below 2940, the decline from 2940 could be counted as a possible 5 wave decline as it’s got an impulsive look, we have also seen the SPX and INDU lag the rally on the NDX, so that’s a slight change of character to the market. It could still push a little more upside and fill the gap, but as long as it remains below 2940, then I am still targeting more weakness, it’s a very tentative idea but like all moves, there is a starting point and whilst nothing has been confirmed, for aggressive traders, there is limited risk to 2940 as a stop. 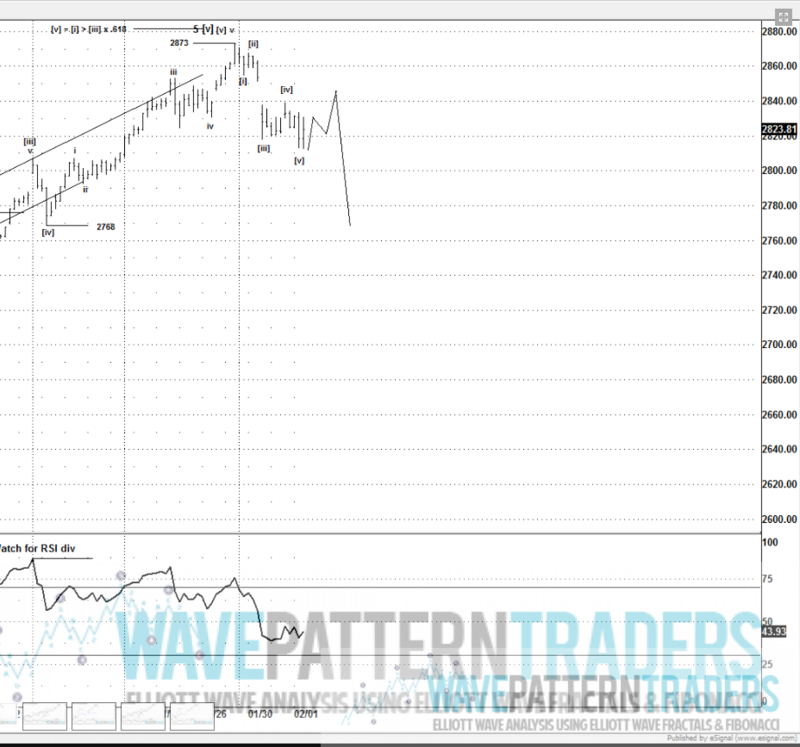 Above 2940 is simply wrong. 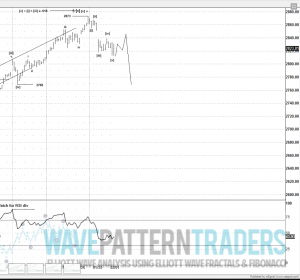 Considering the potential for a large breakdown based on this post: https://www.wavepatterntraders.com/elliott-wave-analysis-of-the-sp-500-spx/ then the risk/reward IMO greatly favors looking for entries to sell. 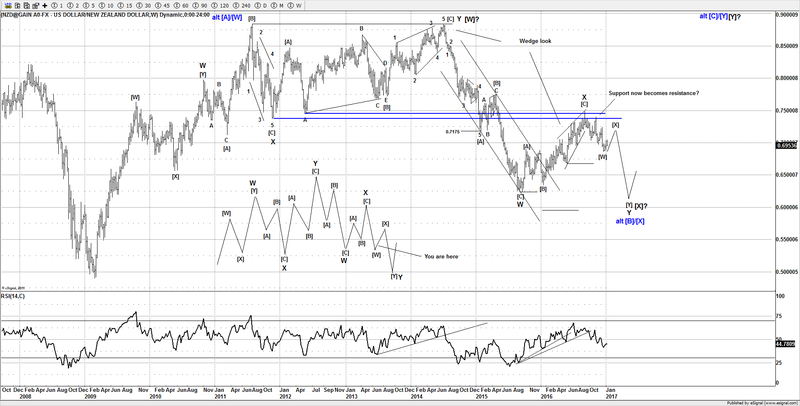 Back in Jan 2018 you had a similar setup to what we have today, limited risk vs huge reward. Those are the types of odds I like to see. 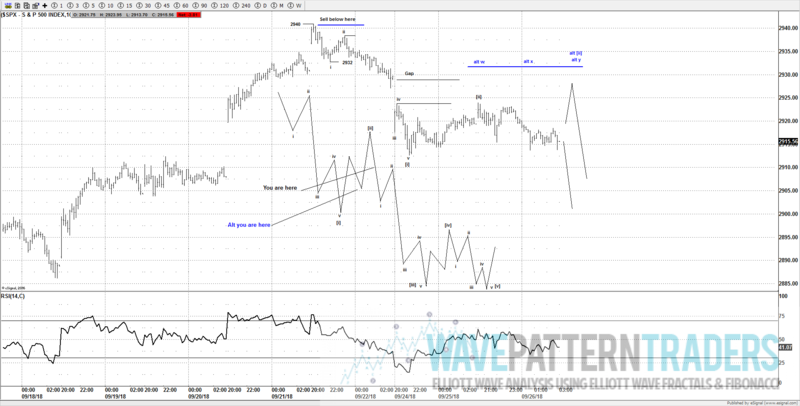 Back in Feb 1st 2018 we had the same setup of a 5 wave decline, followed by a 3 wave bounce, we have a very similar setup today.